I am a research and development lead and colloid expert, knowledge and experienced in dissolution and chemosensory testing, familiar with compliance requirements within safety and regulatory environments with operational knowledge of analytical instrumentation HPLC, GC, GC-MS, FTIR, UV-VIS equipment. Skilled in electron microscopy, energy dispersive x-ray spectroscopy and vibration spectroscopy. Bachelor of Science in Chemistry, Forensic Microscopy, Trace Evidence, Forensic Analysis of Controlled Substances, Advance Analytical Chemistry, Forensic Laboratory Quality Assurance, Forensic Biochemistry, Forensic Science in the Court Room, Physical Chemistry, Forensic Investigative Technology. 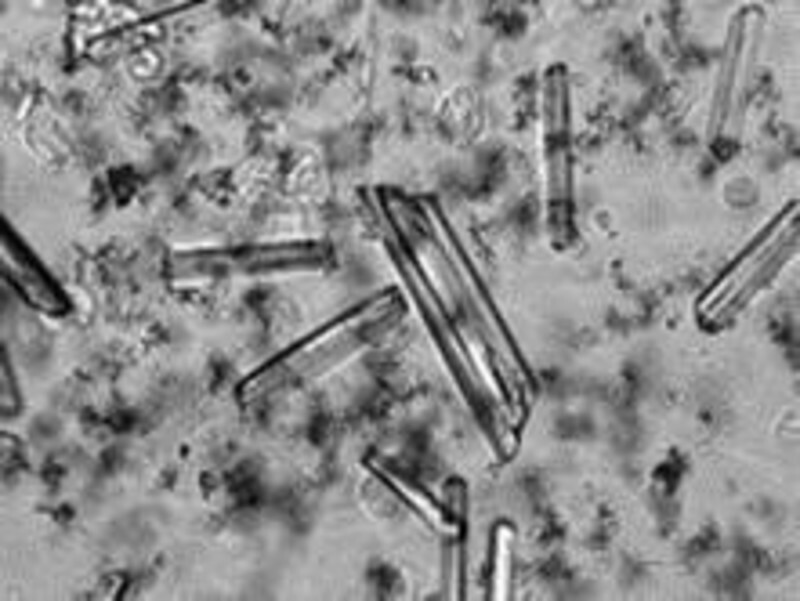 The study into urine and the effect of anabolic steroids producing struvite crystals and potential effects to the discharge through a waste system and cause of backups. Research into the effect of anabolic steroids in urine from the human body and its effect on increasing calcium build-up and the issues that arise causing build up in urinals. Liquid chromatography electrospray ionization tandem mass spectrometry (LC–ESI–MS/MS) method for simultaneous and direct detection of anabolic androgenic steroid (AAS) metabolites and formation of “Struvite crystal in human urine”. Sample preparation and the LC–ESI–MS/MS method were optimized, validated, and the overall process was implemented and the results from known users of anabolic steroid were compared. All the calcium containing struvite were extracted simultaneously by solid-phase extraction (SPE) and analysed by LC–ESI–MS/MS with positive ionization mode and multiple reaction monitoring (MRM) detecting a range of 1-10ng/mg of struvite in calcium. The results from a further study of 20 further urine samples from non-anabolic steroid users was compared with the steroid user’s urine and the overall difference was 1-8ng/mg calcium. There is fundamentally little difference that would substantially contribute to the increase of calcium depositing between users and non-users of anabolic steroid users that would develop an increase in calcium build-up of waste pipes causing backups through pipe bore reduction. If you are eating a normal diet, the expected amount of calcium in the urine is 100 to 300 mg/day. If you are eating a diet low in calcium, the amount of calcium in the urine will be 50 to 150 mg/day. Hard water does contain calcium, but significantly less than milk; 80 to 120 milligrams of calcium per litre of water, approximately 1 kg calcium from 500 L urine, however the amount that would bond to the wall of waste pipes over a period of time that would affect the reduction in bore capacity would take a considerable time (many years without maintenance). The maintenance suggested by some companies whereby a descaling or chemical additive is used on a frequent routine would enhance long life performance. Struvite is (magnesium, ammonium and phosphate which can be used as a slow release fertiliser).